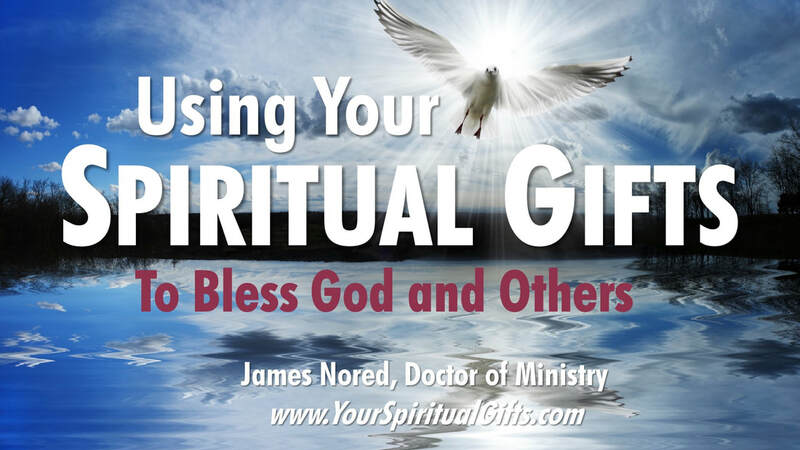 Take the Spiritual Gifts Inventory, written by James Nored, at www.YourSpiritualGifts.com! When a person is born, he or she has billions of synapses; however, by agree three, most of the synapses have disappeared. This sounds like we are getting dumb, but actually this happens so that the remaining synapses work lightning fast. These “fast track” neural pathways are the raw talent for a person’s Strengths. When we are working within our Strengths, it feels natural and easy. In fact, it feels so easy that either we take our Strengths for granted and assume everyone can do what we can do; or, we are very hard on others who do not have our Strengths. These Strengths are part of the unique ways that God has made us, and our goal is to work within our Strengths as much as possible in the various areas of our lives. Explain what Spiritual Gifts Are. - Spiritual gifts are spoken of as a "grace" in Scripture, and indeed, they bring much blessing into our lives and into the lives of others. Thus, Spiritual gifts go beyond mere abilities. Instead, God uses our abilities, our Strengths, our experiences, and he directs them towards work and service in his kingdom. Thus, our Strengths become the raw material for our gifts. The apostle Peter says, "10 Each of you should use whatever gift you have received to serve others, as faithful stewards of God’s grace in its various forms." All Christians have at least one Spiritual gifts--which are God's gifts to us and others--which we should use to bless others. For further study see the four major passages of Scripture on Spiritual gifts: Rom. 12:1-8, 1 Cor. 12:1-11, Eph. 4:4-11, 1 Pet. 4:9-11. Go through the person’s Spiritual Gifts results.- Read through the “characteristics” of the first Spiritual gift. Again, ask the person being assessed to comment where something stands out or where they have an experience to share that is triggered by the characteristics.- Repeat this for the remaining Spiritual gifts that were in the person’s top 8+ Spiritual gifts- Have the person begin to rank their Spiritual gifts, beginning with the one that they feel strongest about. Keep the top five Spiritual gifts. Help the person apply their Strengths and Spiritual gifts to the various aspects of their lives. - This application includes a person’s work/workplace/word, his or her family, and his or her church/ministry setting. - Ask them this question: WHERE do you feel that GOD IS CALLING YOU to use this gift in your: 1) work/workplace/world; 2) family; 3) at church / with Christians. Pass this information on to your church's Spiritual gifts administrator. Follow-up a few weeks after the assessment and see where they are to offer help, encouragement, and resources. If it is a larger ministry that they come up with for the application, see who else they need on their "team" to make this ministry run well.